So I'm still playing post-Christmas catch-up here, but if I keep my nose to the grindstone, I figure I might get all caught up by the end of January. That said, here is the sewing-centric companion to last week's knitting update. 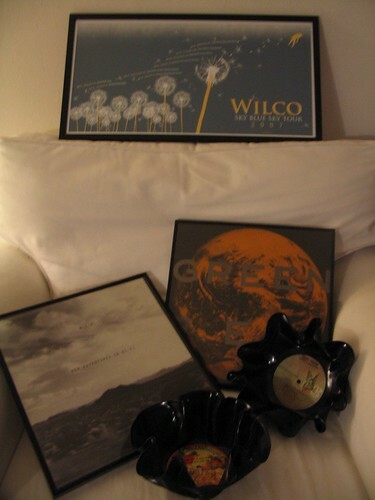 I wasn't one of the many bloggers who made the handmade pledge because I already knew what I wanted to get my husband, and while part of it was handmade by me (record bowls) and part of it handmade by someone else (Wilco silkscreen), the rest was not and it wasn't really an idea I wanted to give up. Not entirely handmade, but certainly appreciated by the recipient. 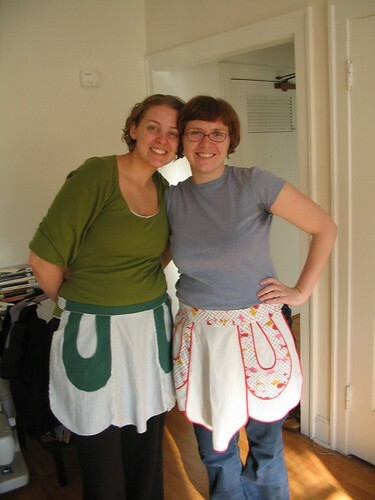 That said, I did do some additional hand-made gifting, namely the apron below (on left). The pattern was based on a vintage apron I had (on the right). This was pattern-making at its, uh, well it involved some paper bags, a lot of folding and some high-class technical eye-balling and guesswork. I didn't have enough material or know-how to make bias tape for the edging, so instead I did some decorative zig-zagging. All in all, I think it turned out fairly well. 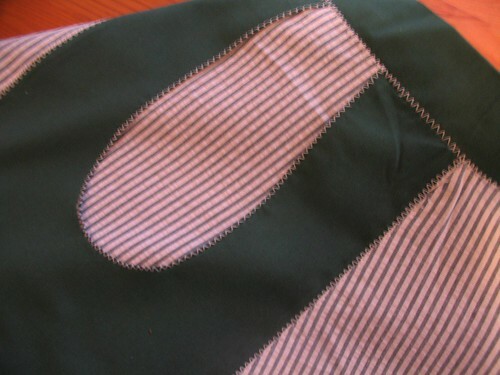 Lord love the zig-zag stitch. And what did I get? 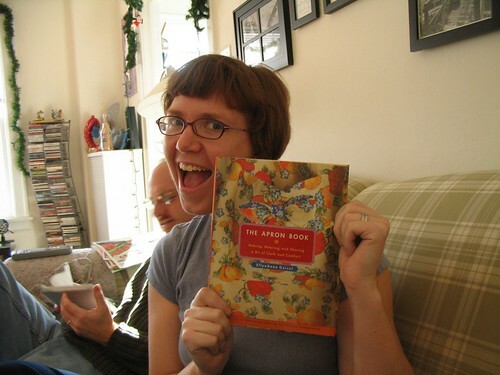 In an awesome "Gift-of-the Magi"-but-in-a-totally-better-way turn of events, Kasey got me The Apron Book! That is 100% Pure Excitement there. 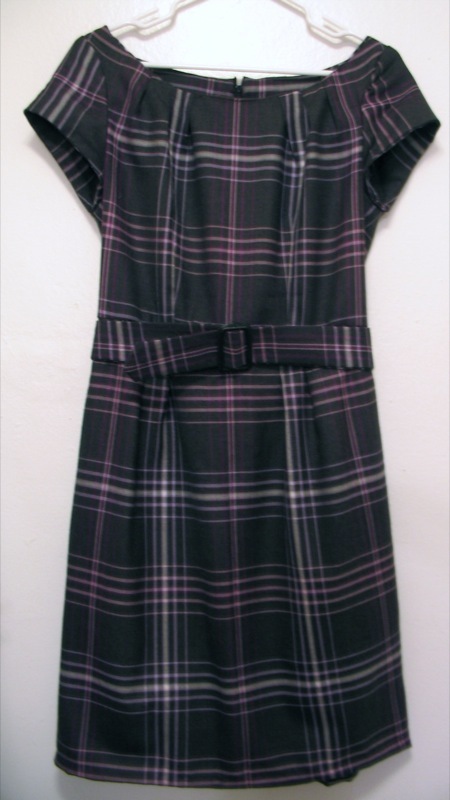 It took seven years to get the dress made, so it's no surprise that it's taken me so long to post about the completion of this project.